The United States on Wednesday welcomed President Joseph Kabila’s decision to step aside and not seek re-election in the Democratic Republic of Congo but said more must be done to ensure a democratic transfer of power. Kabila ended months of speculation when his government announced that former interior minister Emmanuel Ramazani Shadary will be the governing party’s candidate in the December 23 presidential election. “We welcome reports that President Kabila will not seek a third term in accordance with his country’s constitution,” US Ambassador Nikki Haley said in a statement. “This development is another step, but there is much more to be done,” she added. The national elections commission “must take all steps necessary to guarantee the Congolese people have the right to exercise their vote in free, fair, and credible elections on December 23, 2018,” she added. The United States had pressed Kabila to step aside and declare that he would not be a candidate in the December polls, which could pave the way to the first democratic transition in the mineral-rich country. Haley travelled to Kinshasa last year to press leaders to hold the elections after much delay. The United States has also criticized plans to use electronic voting in the polls, saying the voting machines could undermine the credibility of the elections. The elections have come under intense scrutiny at the Security Council, which is planning to pay a visit to the DR Congo later this year, possibly in October. UN Secretary-General Antonio Guterres had planned to travel to Kinshasa along with African Union Commission chairman Moussa Faki in July but that visit was postponed, at Kabila’s request. The United Nations noted the announcement that Kabila’s party had nominated Ramazani Shadary as its presidential candidate. “We welcome the continued progress towards the holding of free, fair and peaceful elections on 23 December,” said UN spokesman Farhan Haq. British Ambassador Karen Pierce, whose country holds the Security Council presidency, declined to comment, saying the council must first discuss the development. The Security Council has called for a transfer of power in the DR Congo. 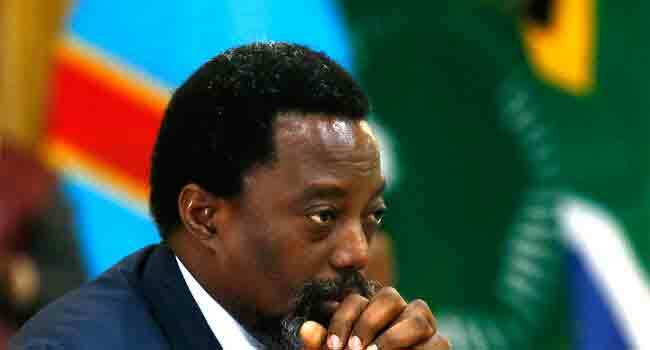 In power since 2001, Kabila had faced calls to step aside amid fears that the country was headed toward all-out violence as it neared the December vote. Fresh elections should have been held in December 2016, but were then postponed until 2017 before finally being scheduled on December 23.